Hello. I found a very nice pillow pattern. See how to crochet him. 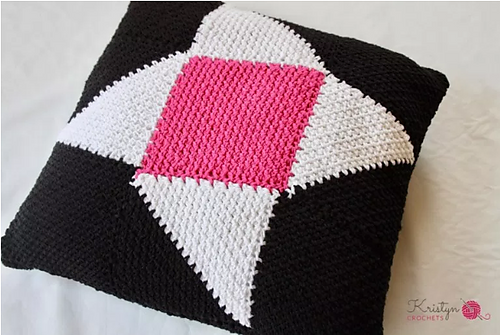 It is a very quick and easy to create pillow. It’s a free pattern. Change colors to your favorites. 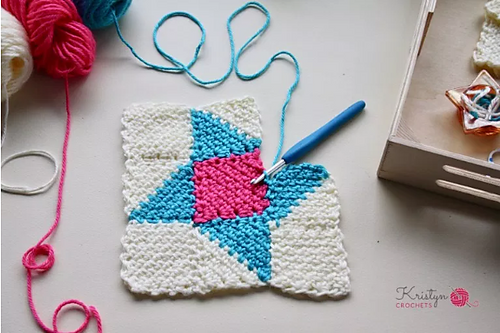 Do a C2C stitch, it’s very cool. The pillow is great for any type of interior. I highly recommend. Friendship Star Pillow Free Crochet Pattern is here.